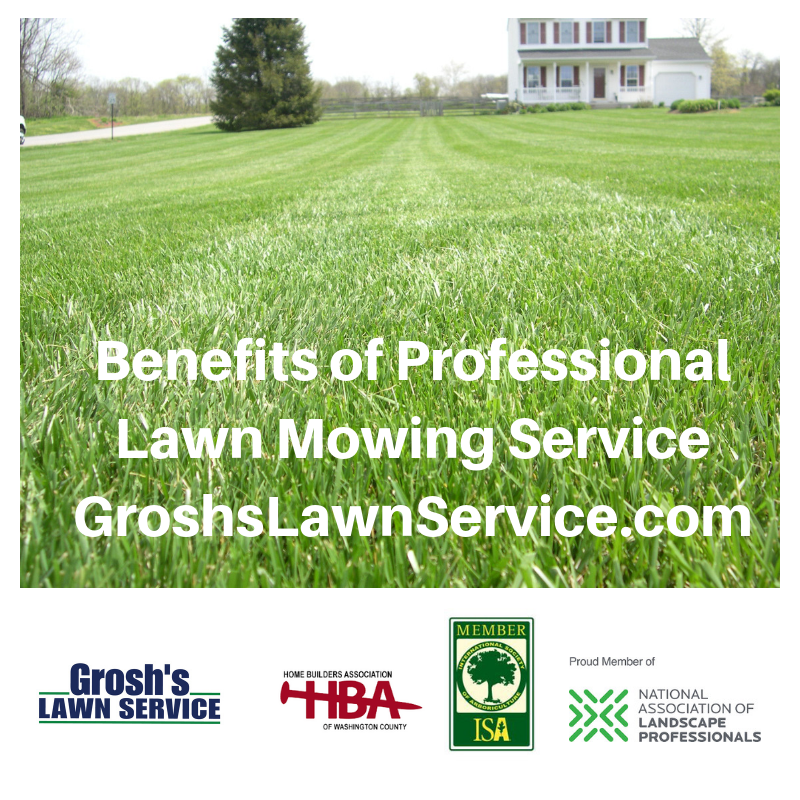 Here are The Benefits of a Professional Lawn Mowing Service with Grosh's Lawn Service. Pro: Its saves you valuable time and the hassle. Life is short, spend your time on what makes you happy. Pro: Never having to worry when you will find the time to mow the lawn. Pro: You as a property owner value how your property looks. Pro: The grass will be mowed each week and the grass clipping removed in the spring with the rapid growth. Pro: The lawn will be stripped each week in a different direction with professional grade lawn equipment. Pro: The grass will be mowed at the proper height each week throughout the growing season. Pro: The mower blades are sharpened each day for a clean manicured cut. Pro: No hassle with the gas can in your vehicle or garage / shed. Pro: No mixing of the gas and oil for the string trimmer and blower. Pro: No yearly service for your lawn mower, string trimmer and blower. Pro: No purchasing oil for the gas mix, no string trimmer line purchase. Pro: Never having to worry whether the lawn mower, string trimmer or blower will start with ethanol in the gas. Pro: No costly repairs from ethanol damage. Pro: No grass clipping to hassle with in those brown paper bags. Forgot to get the bags at the store? Pro: Monthly billing so need to hide money for the kid up the street. If he / she shows up. 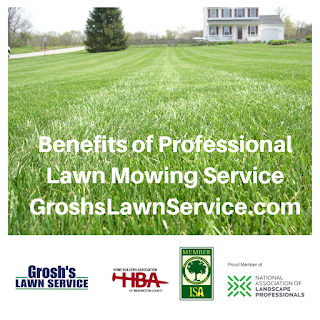 As you can see these are just some of the reasons why you want to hire the professionals at Grosh's Lawn Service. 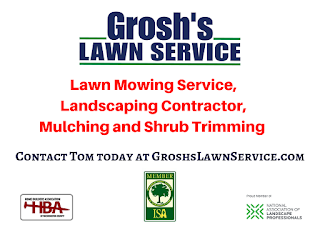 Grosh's Lawn Service offers a lifesaving service when you look at all the benefits, we offer with our weekly lawn mowing service. It's your call. Waste all your free time with all the hassles above or have Grosh's Lawn Service make your life easier, happier and your lawn beautiful. Contact Tom now at GroshsLawnService.com to schedule your weekly lawn mowing service here in the Hagerstown MD area and the Washington County Maryland area.